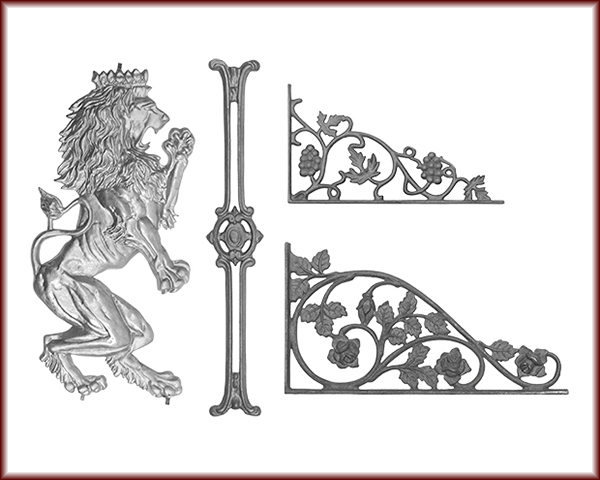 Decorative Iron Panels, Corner Castings, and Plaques are decorative elements that can add a personal touch to any welding project. All the Corner Castings offered are Cast Iron while the Plaques and Panels are available in both Aluminum and Cast Iron. Please note that these castings do not include pre-drilled holes and are not designed to be structural pieces.